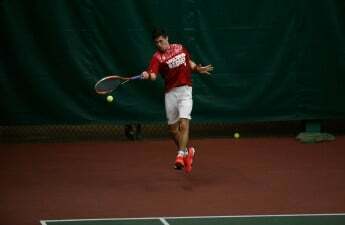 With so many sports happening during the fall, it can be easy for fans to overlook the University of Wisconsin tennis program, but Josef Dodgridge is trying to make it impossible. 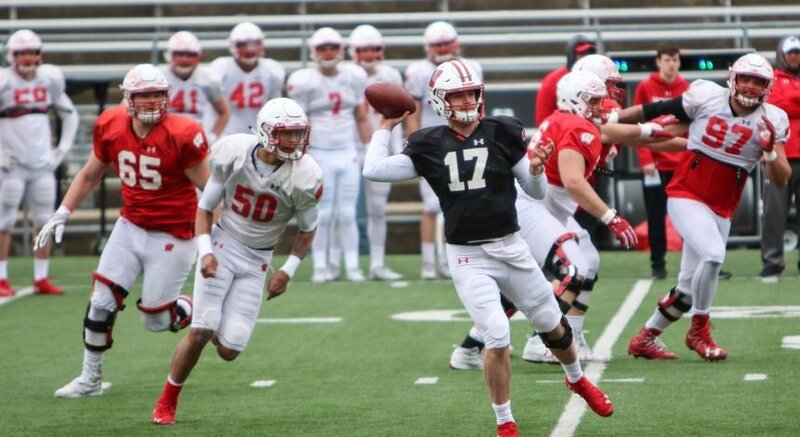 Dodridge, who is a senior entering his final season with the UW, has been working toward reaching the top of the collegiate competition ever since stepping onto Wisconsin soil four years ago. Coming from across the pond, the Brit already had been achieving a lot of success during his secondary years of school. Before coming to the UW, Dodridge was one of the top players in England, and was ranked number one for his age category at 16 years old. One of the major reasons why former men’s tennis head coach Greg Van Emburgh recruited this young Brit was due to the wealth of talent and knowledge he could bring to the team due to his experiences playing in a more competitive European setting. During his first season with the Badgers, Dodridge spent much of his time playing in the No.1 singles spot for UW, going 6-6 during his time in that spot. It was during this season that Dodridge was also introduced to his eventual doubles partner Chema Carranza. The two would start the season off well, posting an 8-8 record that season and earning themselves the No.1 position for UW in doubles. By the time their spring season ended, the two would be ranked No.76 nationally, which is really impressive when you consider the fact both people were only in their first season of collegiate hockey. By the time his sophomore season had rolled around, Dodridge was becoming more comfortable with his role on the team and was really starting to make his name known among the American tennis world. During his sophomore year, the unranked Badger would manage to crush the No. 23 Matic Spec of Minnesota, No. 36 Ben Lott of Drake and No. 34 Thomas Colautti from Princeton. Even though he managed to take down some of the best opponents in men’s tennis, it was not enough for Dodridge to earn a ranking himself, and he would end the season with a 10-9 record. He would also spend his first season with a different doubles partner than the one he had before, but he and new partner Lamar Remy would still manage to find a winning grove between the two of them. Dodridge and Remy would spend their first full year together anchoring down the No.1 spot in doubles for Wisconsin and would find relative success with one another. They would end the season with a 14-7 record, which would double the number of wins that Dodridge had earned during his freshman year. Now an upperclassmen and a leader among his team, Dodridge’s junior year would be a crucial one for him as he would not only attempt to replicate the success that he had found during his first two years at Wisconsin, but to also try and go above and beyond that success. 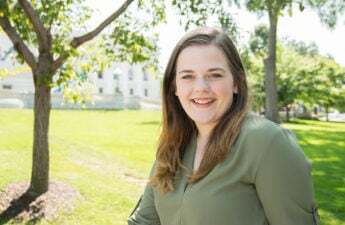 It seemed as though Dodridge would find himself in many of the same positions he found himself in during the first two years of his career, entering the season unranked and facing the challenge of having to take on many ranked opponents. Dodridge managed to defeat Konrad Zieba of Northwestern, who was ranked No. 53 during the time of their match. Throughout the season, Dodridge would garner a career high of 24 wins, ending the season with a record of 24-18 overall and spending much of that time as Wisconsins No.1 singles player. Dodridge’s performance would help the team climb to the No. 28 spot overall that season, which would be the the first time that Wisconsin would end their season ranked this highly since 2010, when the Badgers ended their season ranked No. 23 nationally. 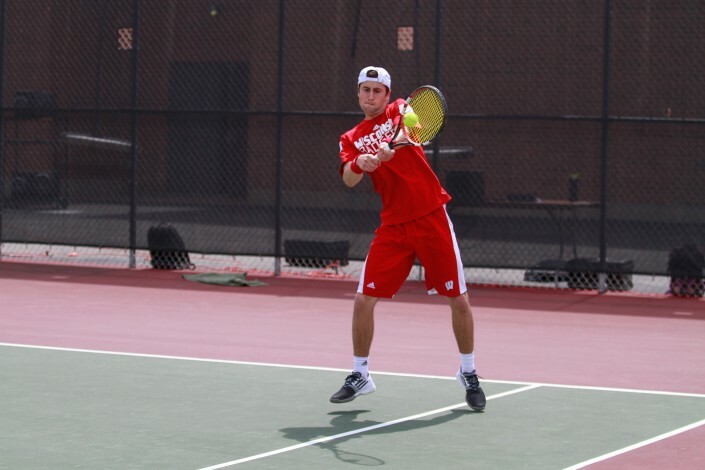 Dodridge and his former doubles partner Carranza would also be reunited during their junior seasons, earning the No.1 position for men’s doubles at Wisconsin. The duo would start the season off well, but would really begin to impress people during the post season, when they would begin an impressive run in the Big Ten. Eventually the duo would wind up coming in second place in the Big Ten tournament, and would end the season with a final record of 18-11 overall and 7-2 in Big Ten play. Now entering his final season, Dodridge has one more chance to shine while here at UW, and he has managed to do something that he has never done in his career up until this point: Become a ranked player. The Oracle ITA preseason poll ranked the young Brit at the No. 93 spot overall, which is a first in his career. Dodridge had been managing to make waves early this season as he has been winning or placing highly at many of the pre-season invitationals that he has attended. During the Harvard Chowder Fest Invitational, Dodridge not only brought home the gold in singles, but he and partner Carranza also brought home the gold in doubles as well. Because of his international ranking, Dodridge has not played a singles match since the Harvard tournament. He has already earned his spot in the Saint Francis Health System ITA Men’s All-American Championships, which means he now has time to focus on finding the same success for him and his partner Carranza in their doubles game. The Badgers have three more invitationals left in their fall season before taking some time off to prepare for the regular season come spring. Wisconsin is currently scheduled to head to Michigan next for the ITA Regional, during which Dodridge will finally be able to compete again in singles as well as doubles. Following Michigan, the Badgers will head to Minnesota for the school’s invitational, followed by the Wake Forest Invitational at the beginning of November. Wisconsin men’s tennis will begin their regular season against DePaul in January and there are great odds that Dodridge will be leading the team in the No.1 singles and doubles spot for that meet.